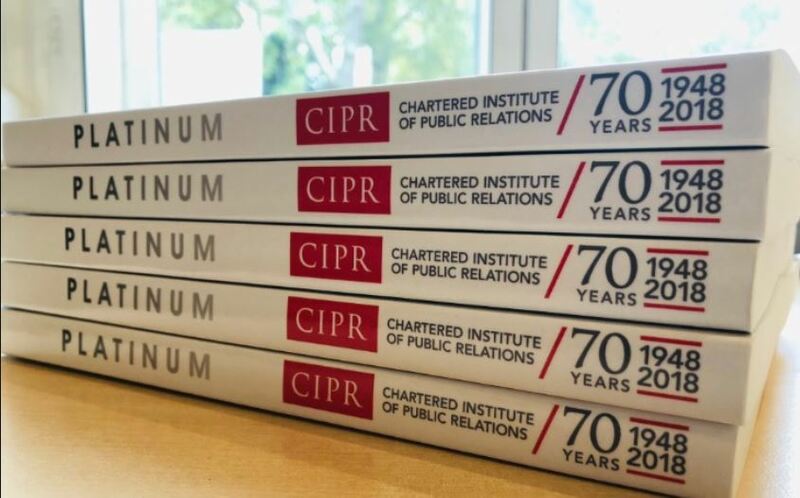 Platinum is a new book from the CIPR showcasing excellence in public relations and celebrating the institute’s first 70 years. In 1948 a Harvard University professor named James Culliton published an article: The Management of Marketing Costs. Within its pages, Culliton describes marketers as 'mixers of ingredients’. The idea of the ‘Marketing Mix’ stuck. This phrase may have started the ball rolling on the perennial discussion within the public relations discipline of whether PR is a tactical function – a subset of marketing (it isn’t) - or whether it fulfils a loftier strategic management function (it certainly does). 1948 was the year the Institute of Public Relations was formed - now under a royal charter and titled the Chartered Insitute of Public Relations (CIPR). “This group was quite clear that public relations was not publicity. It was not promotion, not propaganda, not press relations and not advertising. To be correctly termed, public relations had to contain three elements in almost equal measure: truth, concern for the public interest and dialogue. “These men had witnessed the miseries of war and, in this brave new world, believed that improved communication was a means of improving co-operation and reducing conflict between groups in society. Platinum book CIPR: showcasing excellence in public relations. Platinum is a new book from the CIPR showcasing excellence in public relations. Edited by Stephen Waddington, chief engagement officer at Ketchum, Platinum is the story of the CIPR as told by its members. More than 80 members submitted almost 100 pitches, and 45 were selected. The 45-chapter book comprises contributions from more than 50 thought leaders - including CBI Director-General Carolyn Fairbairn. This is the fourth time that the CIPR has crowdsourced its story from members. It follows similar projects in 1973, 1988 and 1998, to celebrate the organisation’s 25th, 40th and 50th anniversaries. Platinum captures the evolution of the Institute and the industry from the foundations of PR practice to the emergence of artificial intelligence, influencer relations and automation. I contributed a chapter on influencer relations - specifically the importance of considered planning, measurement and evaluation of any influencer relations programme. Media has splintered from a predominance of print & television, to include online & social media. Influencers have emerged on every media, in every market. This represents a huge opportunity for public relations. Our opportunity is to work with these individuals to engage with their network, in the way we have traditionally with journalists. Of all the creative industries PR is best-suited to lead this nascent discipline. It built into our DNA to earn understanding and support and influence opinion and behaviour. Done well influencer relations encapsulates the ethos of public relations through the planned and sustained effort to establish and maintain goodwill and mutual understanding between an organisation and its publics. 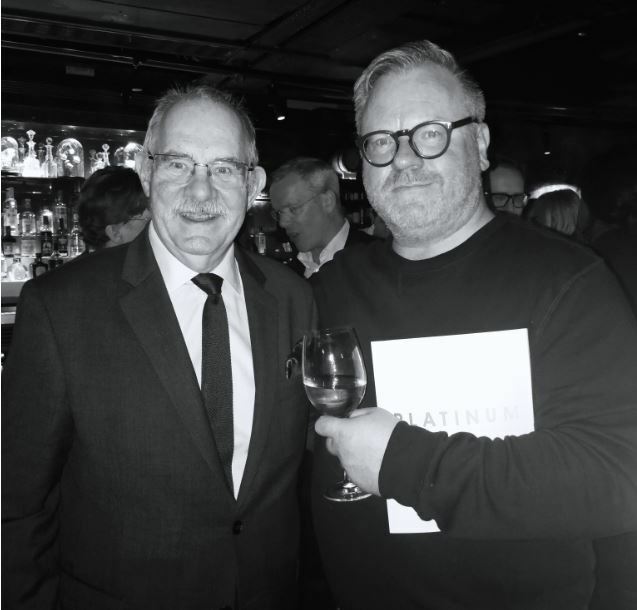 Platinum book CIPR: I was thrilled to meet with Kevin Traverse-Healy, son of CIPR founding member Tim Traverse-Healy at the Platinum book launch. Platinum is available in print for via Blurb £29.39 and on Amazon Kindle for £4.95. Profits from Platinum will be donated to iprovision, the CIPR's benevolent fund for PR practitioners who have fallen on hard times, through illness or other unfortunate circumstances.